Kirby is cute. Buns are cute. It’s only natural that Kirby buns would be very, very cute. Today in Japan, Kirby buns are going on sale at Lawson convenience stores. Stuffed with Maxim Tomato” inspired filling, they’re available for a limited time only. Even when they’re split open, they are adorable. No wonder folks are reporting that some Lawson stores are selling out of Kirby buns. 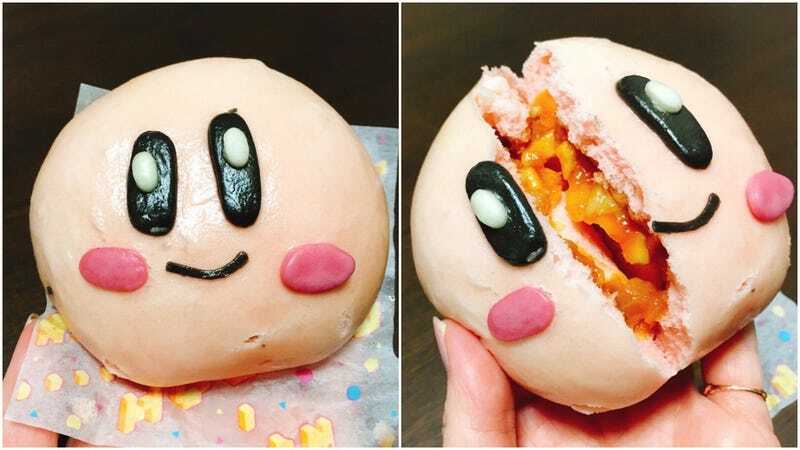 Who wouldn’t want to take a bite out of Kirby’s face and eat its red innards? The Kirby bun is even inspiring fan art.